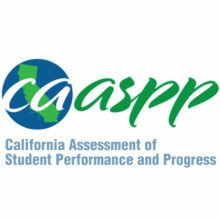 While the majority of the school week consisted of three periods (only four days), most juniors were required to take the California Science Test during their science classes if they had one or not which on average took about one to two hours. Those who completed it before the end of the period were instructed to leave the room they took the test in and report to rooms meant for students that had already finished it. The CAST itself is among the few assessments juniors will take to ensure district and graduation requirements for the majority of the next senior class are met. “I thought the test was alright, what I thought was surprising was how much I knew about the biological aspects of the test,” said So Hwi, SAS junior. According to most juniors, the test proved interesting based on the fact that they’re used to being evaluated on English and Math only. Thus, it’s affirmed that Science is also a critical part to our learning, no matter the age range.